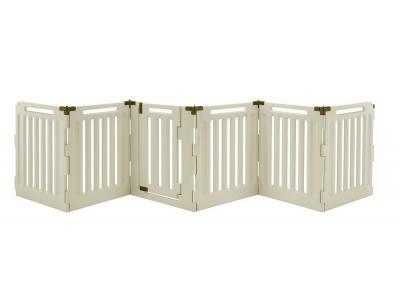 Introducing Richell’s new Convertible Indoor/Outdoor Pet Playpen: it’s stylish, it’s multi-functional, it’s three pet products in one! 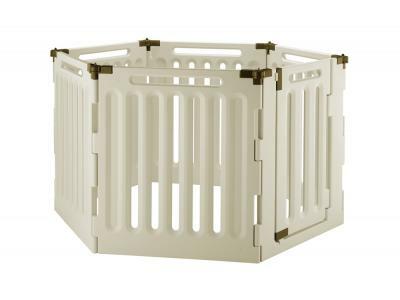 Made of durable plastic, this playpen includes water-resistant Hook Arrows that allow the playpen to be used safely indoors or outside. 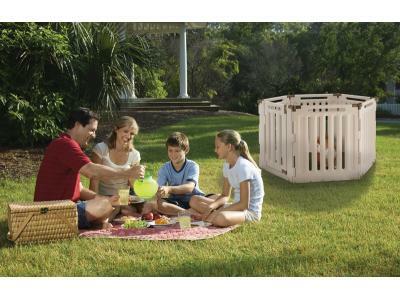 The playpen works great outdoors to confine your pet during family gatherings, plus it converts into a pet gate and room divider to confine your pet safely indoors in areas with larger openings. 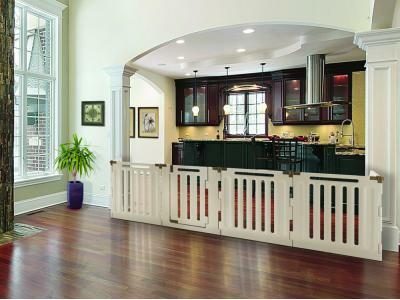 Because the playpen includes a lockable Gate Door, your pet has easy access in and out of the playpen. 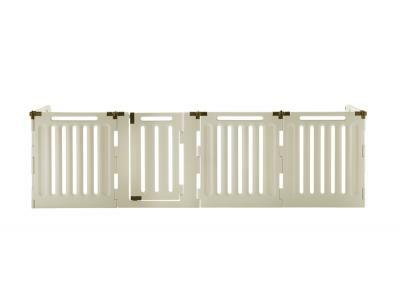 When used as a gate or room divider, the Gate Door allows you to move freely from one area to another without having to shuffle the entire unit. 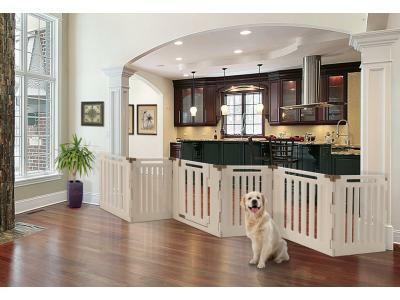 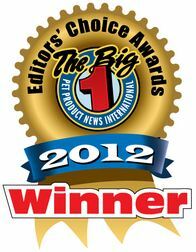 New 3-in-1 plastic playpen converts to a freestanding pet gate and a room divider! 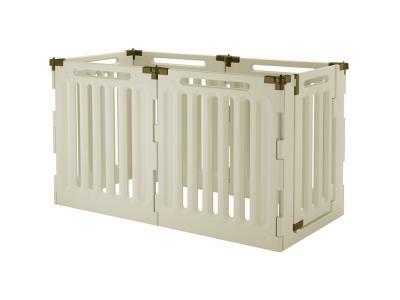 Also available in a Low (Item 94907) and Medium (Item 94908) for smaller pets.